"Steve! We gotta get going!!" I yell through the wall while jimmying on my catsuit. We are going on a mission, and this is one of the first missions we&apos;ve been on together. But the part that I think is hysterical is that I am his Supervising Officer! So on this mission, he is only there to shadow me. I chuckle to myself. This will be interesting. A knock on the door snaps me out of my thoughts. It&apos;s Steve with regular clothes on, but I can see his Captain America suit collar sticking out. "You can come in or wait here because I need to cover this catsuit." I say. "I will come in," I hear him say as I walk to my room. "So how does this &apos;S.O&apos; thing work?" "Well, I basically do the entire mission, you help me take out a few guys and we leave." I say walking back out of my room, ready to go to S.H.I.E.L.D. "But but but..." he says with a dumb look on his face. I chuckle. "I&apos;ll let you help a little more than the standard new agent would normally be expected to because you are well... You." I say. "Alright," he says with his heart-stealing smile. "We better get going. Let&apos;s take my bike." "Ooh, I forgot to tell you, my helmet was mysteriously found crushed at the front of Stark towers." I say with a shrug. He chuckles and we head to his bike. Once we are both on and he starts the bike, i start to think about what the Avengers are all doing. Tony and Pepper are spending some &apos;couple time&apos; in his LA house. Bruce is starting to be a doctor of S.H.I.E.L.D. a few days a week. Nat and Clint are going on missions all the time. And Thor, who knows. "We&apos;re here." 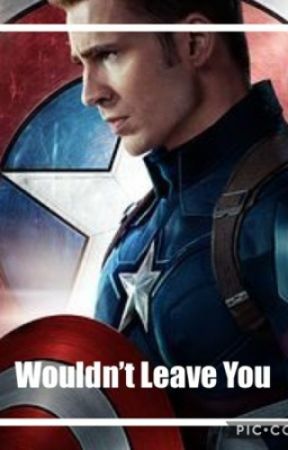 Steve turns around and tells me. We get up off the bike and walk into S.H.I.E.L.D. Once we are in, we take off our civilian clothes and just have our uniforms on. We walk into Fury&apos;s office without speaking. "Stark, Rogers, your mission is to pick up where our airborne team left off. They have traced an Ian Quinn back to his house." Fury pulls out a picture of him. I study the picture, but something about it is off. He looks really familiar. "He was transporting an item of interest for the team and for S.H.I.E.L.D. Your task is to infiltrate his house and find this item. Don&apos;t take out Quinn, bring him in alive if at all possible. His house is about an hour north of D.C. Good luck, that will be all." We walk out and get into the Quinjet. "What is the plan?" Steve asks. "I&apos;m going to go in and you will stay hidden outside. I will try to find the item and get out with Quinn. If I can&apos;t, I will call you in. Alright? Stick to the plan, please?" "Alright." We land and Steve and I hop out. We literally landed in his backyard. We crawl up behind a few bushes and wait. "Here we go," I whisper to Steve. I bend at my waist and start to walk in but Steve grabs my hand. "Rach, I have a really bad feeling about this. Please, just let me go in." he says. Now I feel bad. I crouch down again. "Steve I&apos;ve done this stuff a million times. This is what I&apos;ve trained for. I&apos;ll be alright. And if i&apos;m not, I have my best friend waiting out here for me if I need help." I see something change in his eyes when I say friend. It is almost, hurt? No, does he like me too? I would tell him now but it is wildly inappropriate. I&apos;ll tell him after. I lean in and give him a hug. And we sit in each other&apos;s arms for almost five minutes. "I have to go in," I say. I give him one last hug and get up. I sneak into the house and start to search around. There must be some kind of hand-off here because there are multiple people here. I can&apos;t search the living room so I go down into the basement. Once I am down there, I see a tube of some sort. I recognize it as a stabilization tube, to keep vitals steady. Then I feel someone grab my hands and push my face into the glass. "Well, well. What do we have here?" O God. Please no. No, no, no! Steve, I need you!! I know this Quinn guy too well. Because his name isn&apos;t even Quinn. Or Ian for that matter. "My luck is just getting better with you S.H.I.E.L.D. agents. I usually get the expendable ones to get me, but they have sent you in today." he says with a cross between a glare and a smirk on his face. The guy lets me go. I reach up and turn on my com so that Steve can hear. "David, what is in the box?" I say. "Project Deathlox&apos;s leg. But I wouldn&apos;t try to stop me." he says and sends the guy upstairs. "Just like old times now huh? Do you still have your scars? Or are the memories scaring enough." He pulls out a gun. "I was only trying to help you be better." he says coming closer. Then he pulls me into his arms. Pain. So much pain. I start to loose my footing. I hear David&apos;s calming words in my ear. Again, but more pain. David sets me down to die. He might have said something but I have blocked him out by now. He leaves the basement while I try to move my arms. I finally get one to work. "S...teve." I say into the com. "Rach, what&apos;s going on? I heard gun fire, are you okay?" I start to cry. I can&apos;t die. I have to stay for him. "Get into the basement take out everyone that is ... ugh... still ...hiss... here. Hurry." I say, starting to drift. No. 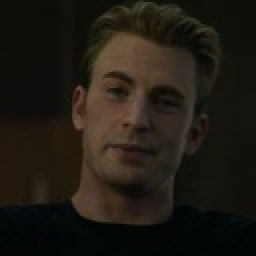 Rachel Ellie Stark, so help me if you die you will leave Steve, the only man you have ever truly loved. At that moment in my thoughts, Steve breaks through the door. He looks around but doesn&apos;t see me. And then he looks down. He starts to cry and that makes me cry even harder. "Steve... call... the... medics, okay?" I say taking as much air as I can in between each word. "I called then as soon as I heard gunfire, just in case." he says between tears. He had knelt down when he saw me. Now he is taking my head and gingerly moving it to rest on his legs. He starts to run his fingers through my hair. And then I start to cough. Blood. O my God. Rachel was shot. I am crying so hard because I need her. She is my rock. She helps me with everything and doesn&apos;t get annoyed. She kept me safe while I was frozen. Now it is my turn to protect her. I run my fingers through her hair. This helps me to relax. "Steve," she says weakly, "he found me." "David," she goes into a coughing fit. "Steve, I might die here so I have to..."
"No, you aren&apos;t going to die." I say, crying harder. "I can&apos;t loose you too, I just can&apos;t."
"I can&apos;t... loose you either. But I..." She takes a deep breath. I am crying too hard to say anything. But then a song comes to mind, and I have to sing it, because I might be loosing her forever. When I finish, I loose Rachel. I gently kiss her forehead. "I&apos;m so sorry." I say. I cry. Then the emergency Lifeflight shows up. A/N: Hahaha! I lied in that Author&apos;s Note! It is short, like really short but it has a lot that happens. And it is not the best quality but hey, it is something to read. This was so hard to write!! So sorry for the cliffhanger! Vote, Comment, Spread the Word, Enjoy!